S: Honey-gold, reminiscent of peach juice. Hazy, murky, unapologetically New-England in color and appearance with a nice thick cap of head. I can’t see the bubbles, I’m sure they’re there. Not a huge amount of lacing, but it’s present in delicate, icing-drip fashion. A: Aromas of apricot, tangerine, and peach rocket into your nostrils. You can detect this heady mélange from nearly a foot away. A slight malty sweetness creeps out from behind the hops, which are clearly the star of the show. Stick your nose in the glass when you’re done (and before you pour the next can)- divinely grainy aroma sticks around. T: Closely following the aroma, the taste is very juice-like with nearly candied apricot and peach. Nearly no malt presence at the outset. After it warms a bit in the glass, there is a slight cereal presence- must be the oats. F: Medium-full, despite a fluffiness on the tongue, coupled with a smooth, refined (NOT FLAT) carbonation. There’s enough bitterness present to provide a nice contrast to the prominent, fruity flavors. O: Fans of incredibly hoppy, incredibly bitter West Coast style IPAs should reconsider what it means to brew an IPA. This version of many craft drinkers most cherished style is large and in charge. Fruity, tropical, easy to drink. Bonus idea: Combine with a touch of Cointreau or peach schnapps, garnish with appropriate fruit slice, and you have two ridiculous beer cocktails. Food and Wine Pairing: Burgers?! I’m sure that many of you out there enjoy a burger with quality beef, but yet, wish you could pair it with your favorite red wine. Well, now you can. Check out this straightforward and informative post over on Madeline Puckette’s Winefolly Blog. Home Brewing Radio: Hosted by Brad Smith, the creator of BeerSmith Home Brewing Software. Informative discussions of all aspects of the beer world with a wide range of guests. The knowledge in the minds of both Mr. Smith and each guest is enough to make my brain hurt. The Perfect Pour Craft Beer Podcast: Two lively guys in California discussing beer, being silly, and drinking good beer. Feels more like a morning-zoo show, but definitely entertaining. The Coolship Podcast: Co-hosted by Warren Wilson (owner of Homebrew University in Hackettstown, NJ) and Siebel Institute-educated owner and head-brewer of Czig Meister Brewing, Matt Czigler. Matt Czigler, you know- the creator of Kane’s Head High IPA. Dedicated to all things beer for amateurs, professionals, and beer lover alike, these two provide excellent “edutainment.” They occasionally go off the rails, so I’d caution that this show might be rated R for language and content. Regardless, it’s a fun ride. Have other favorites? Leave a comment with a link to the show for others to enjoy. S: A deep, inky body with a red-pink meniscus. No legs. A: Dark red fruit and hints of cassis. A touch of alcohol and subtle oak and vanilla. T: Initial sweetness and a burst of dark cherry and currant. A hint of vanilla. Fruit-forward. F: Supple, soft. Refined, ample tannins that provide structure and a bit of grit, nothing scathing. O: Paso Robles cabs deliver excellent fruit and tannin. This wine is no exception. Let it sit for a bit and really get a sense of the luxury inside this bottle. Suggested food pairing: Black and blue filet with caramelized onions and mushrooms with a bleu-cheese butter sauce. Want to go off the beaten path? New York-style cheese cake. Happy New Year! I hope you all are off to a great start for 2017. I know I am. With another year comes a bit more wisdom, experience, change, and set of goals. The biggest goal and the biggest change? I am branching out from the world of beer reviews to cover what I like to call the earthly trinity: wine, spirits, and of course, my first love- beer. Closely linked to the first goal is a renewed energy and variety. It will not necessarily be an even rotation, but learn to expect and dare I say, anticipate non-beer reviews here. Why, who knows, I may start to sound like I know a thing or two about wine after a few reviews. Granted, there will still be picture, pithy prose, and the occasional delve into a particular style or history for adult beverages. 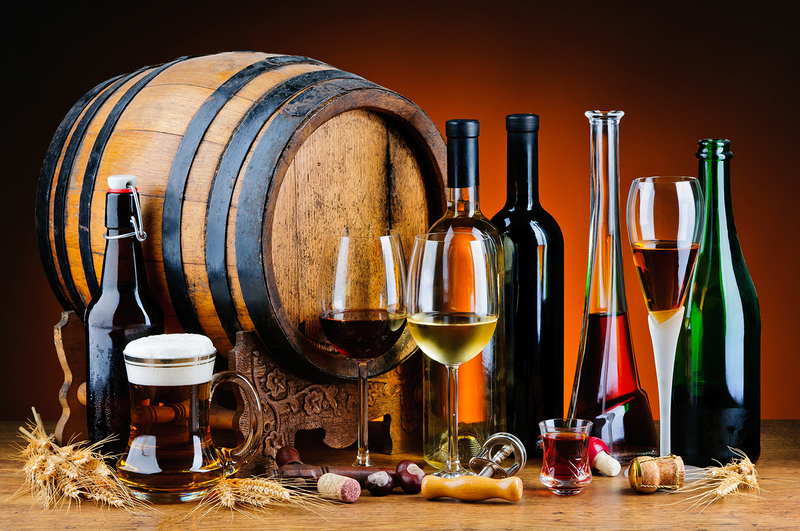 Think of this site as a more robust, comprehensive look into the finer drinks in life. Raise a glass to 2017 and a revamped John Shoemaker’s Beer Reviews (other alcohol reviewed also)!